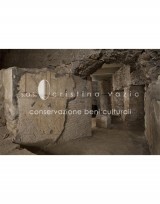 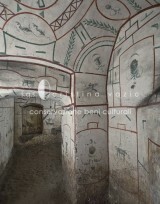 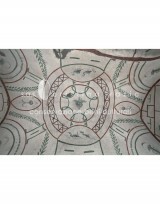 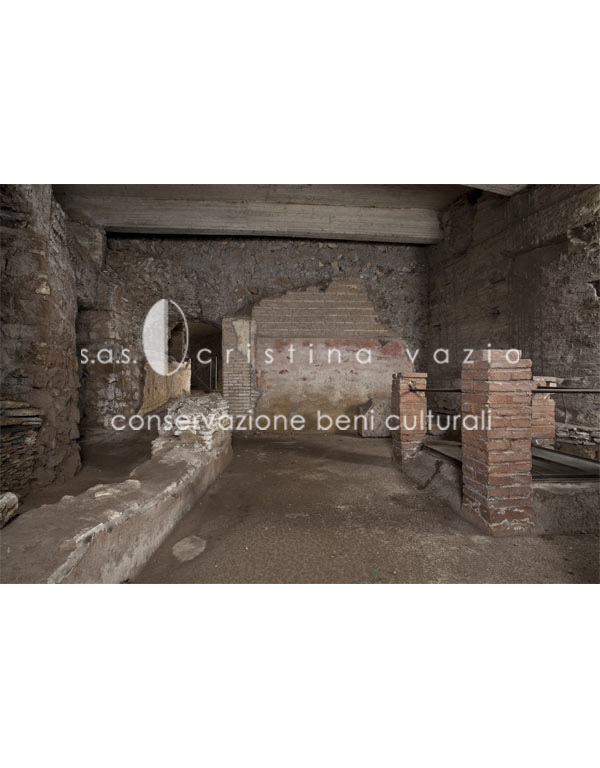 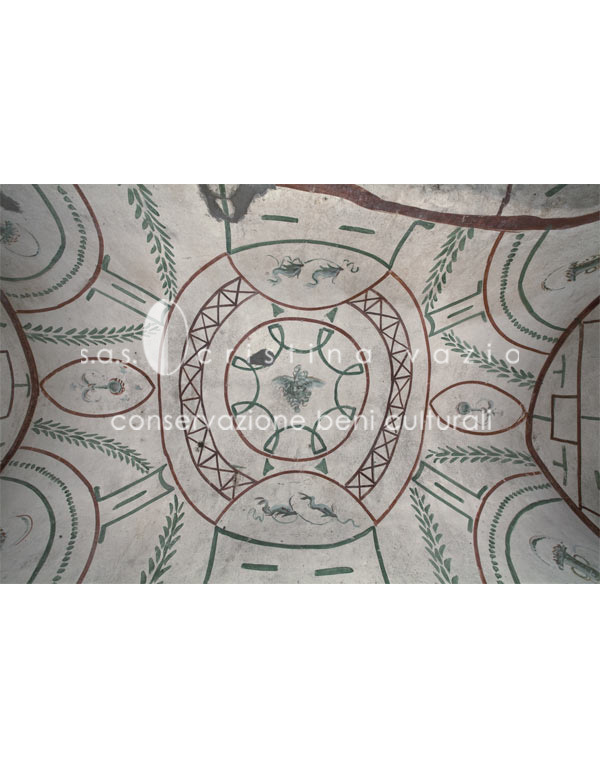 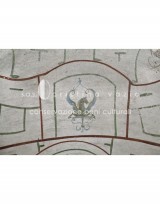 Under the Basilica of St. Sebastian in Rome, there are two Roman villas referred to as Villa Grande and Villa Piccola. 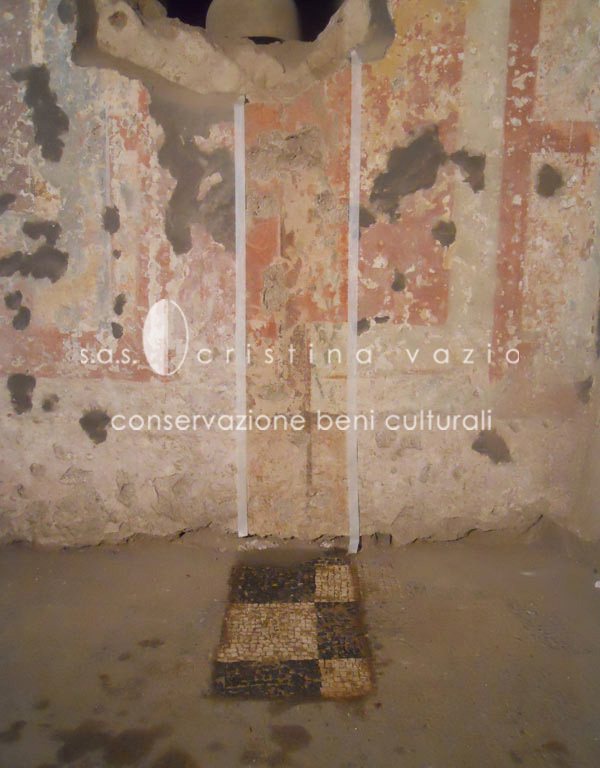 They date respectively to the II c. A. D. and the very beginning of the IV c. A. D. The wall surfaces present frescoes dating to the earlier phases of construction of the villas. 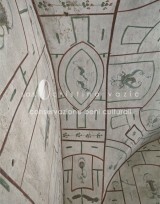 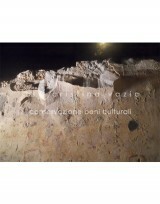 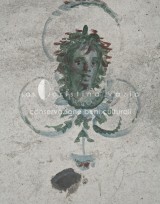 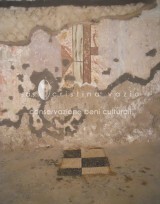 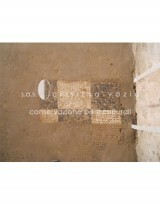 In 2013, a project to study the frescoes has commenced in order to assess the technique of execution, the materials implemented, and the state of preservation. 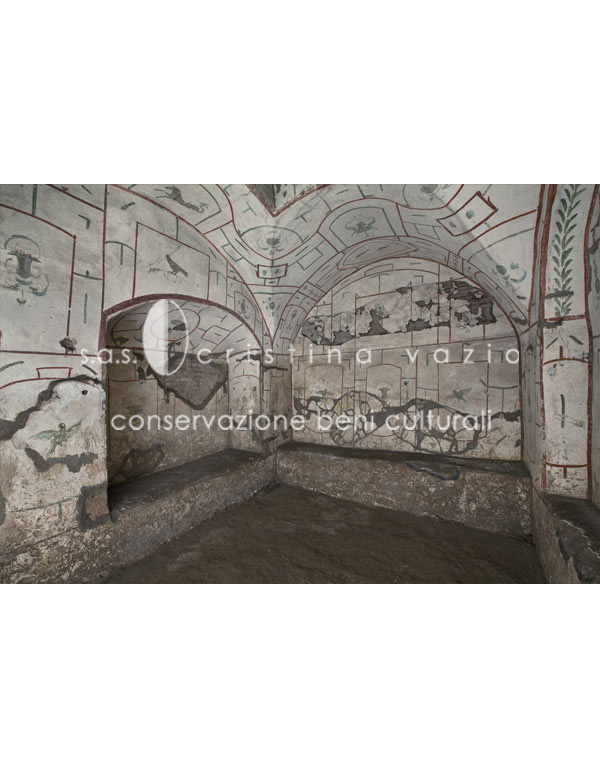 The project comprised of collating the technical data sheets for each room of the two villas, describing all the phenomena of degradation detected, and performing targeted scientific research, such as consolidation tests, cleaning and surface treatment. 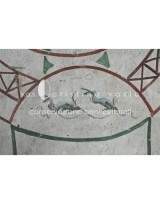 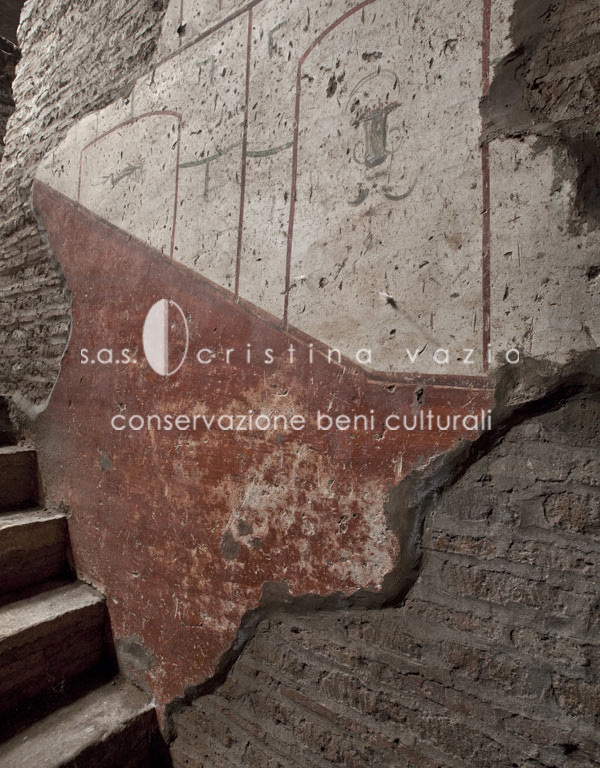 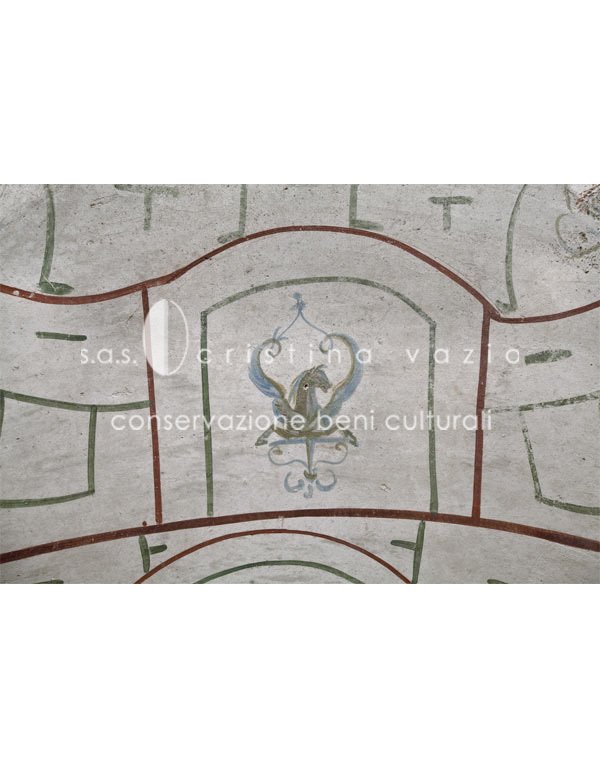 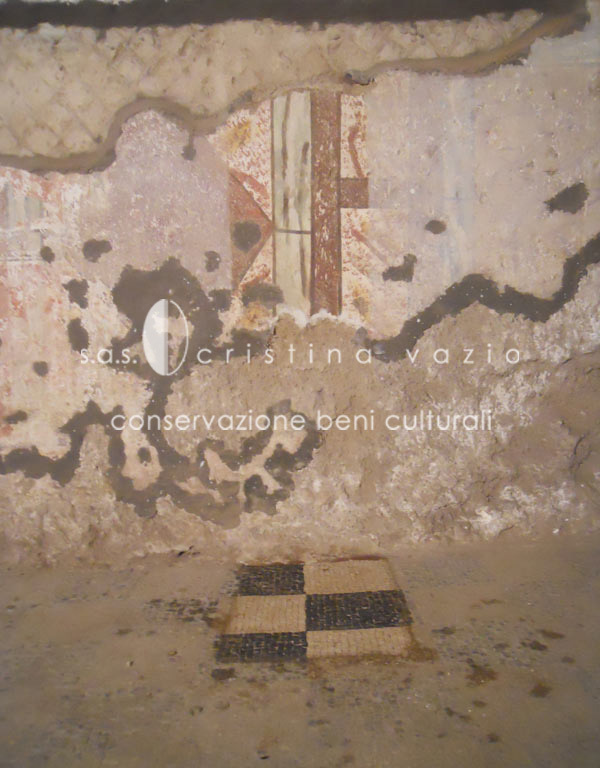 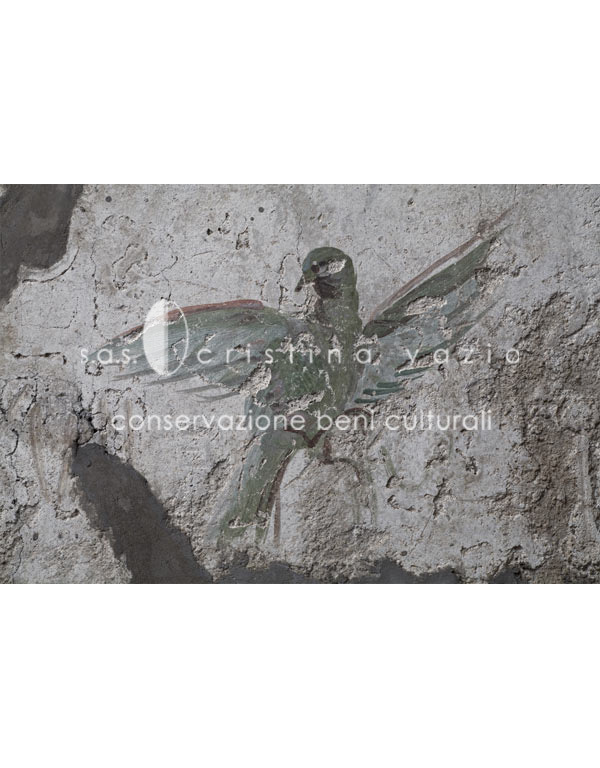 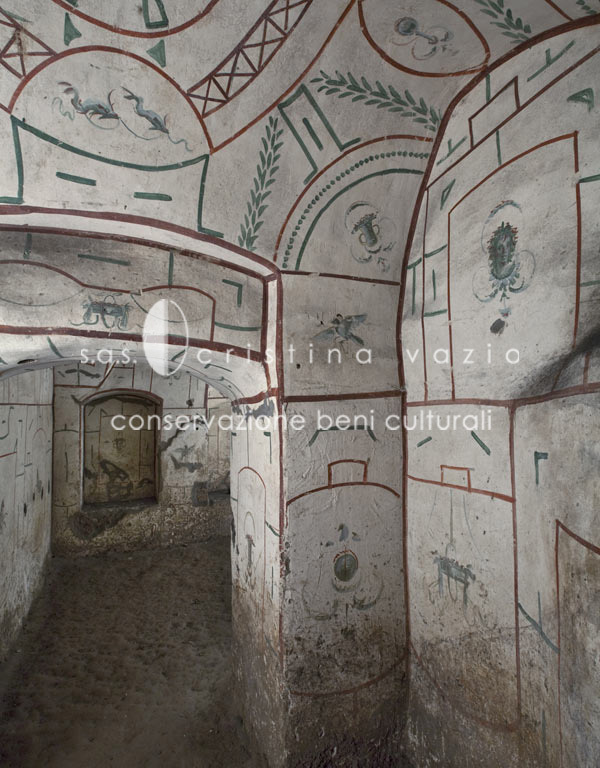 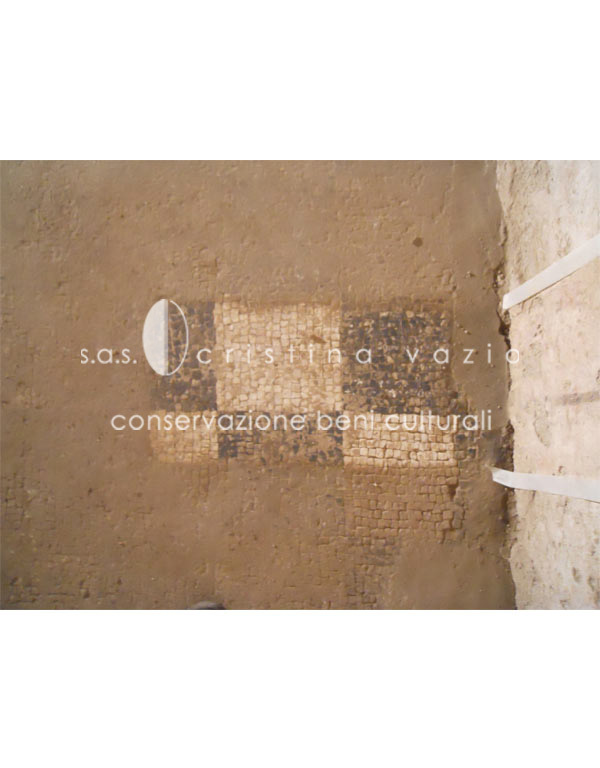 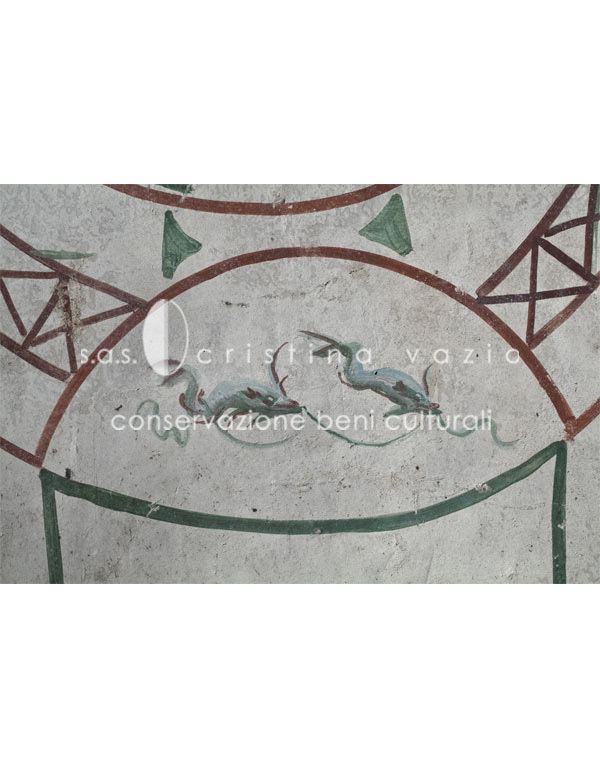 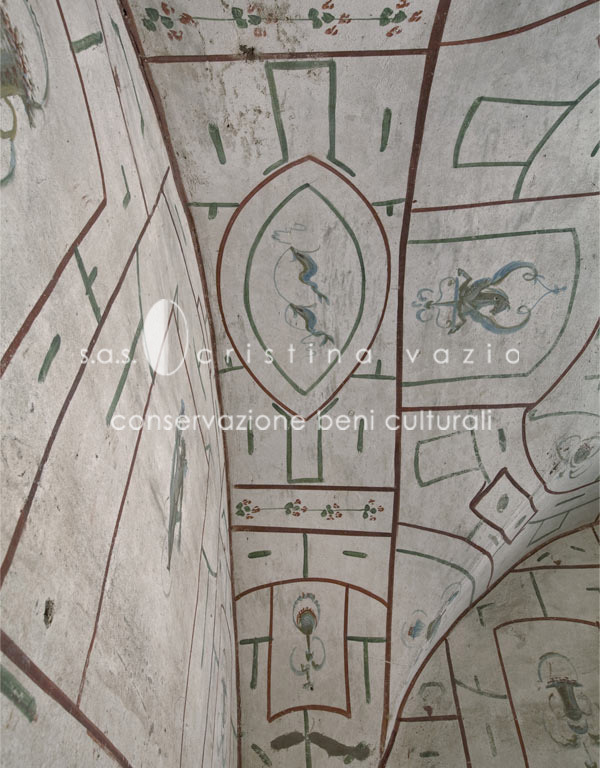 The study highlighted the dire need for reinforcement of all the fragments belonging to the frescoes at risk of collapse and revealed the bad condition of room n. 28 in the Villa Grande (see section “Wall Paintings”).